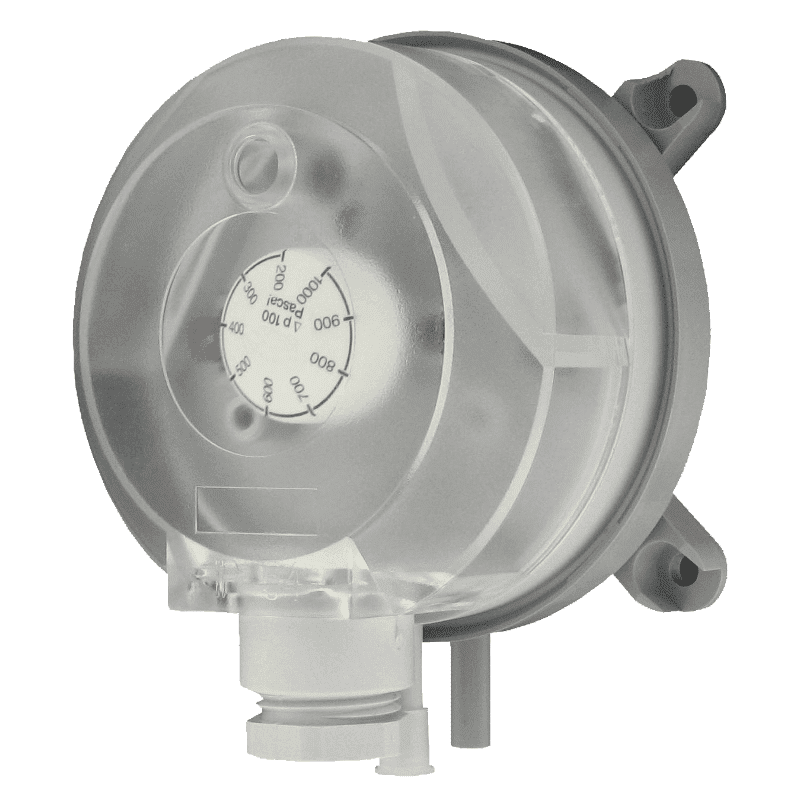 The Series ADPS Adjustable Differential Pressure Switch is designed for pressure, vacuum, and differential pressures. The adjustment knob allows changes to the switching pressure to be made without a pressure gage. The ADPS is available with settings from 20 Pa up to 5000 Pa. The compact size, adjustment knob and low cost make the ADPS the perfect choice for HVAC applications.